Trees Missing Their Signature Fall Colors? Here's Why. We're anxiously awaiting the moment trees in the D.C. area turn from green to shades of amber and crimson, but the extended summer heat we've experienced is delaying the colorful change. 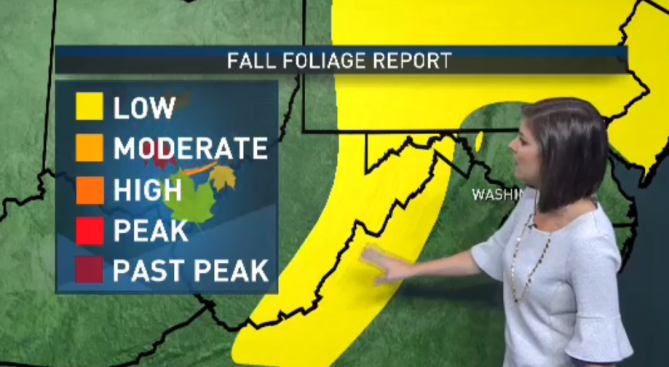 The hot weather has inhibited the color change, and recent heavy rain caused some trees to drop their leaves early, Storm Team4 meteorologist Amelia Draper says. Even trees in higher elevations are missing their signature autumnal pop. Fungus exacerbated by the rain could be the cause, according to the Foliage Network. The Foliage Network puts out a fall foliage report every week and says the lack of color in the region is unusual for where we are in October. But as temperatures in the area begin to feel more like fall, there's a chance we could see more color on the leaves. As the days continue to shorten, chlorophyll production in the leaves will slow, revealing a yellow hue. "What you need is warm days and crisp nights, but the temperature can't drop below freezing," Draper said. 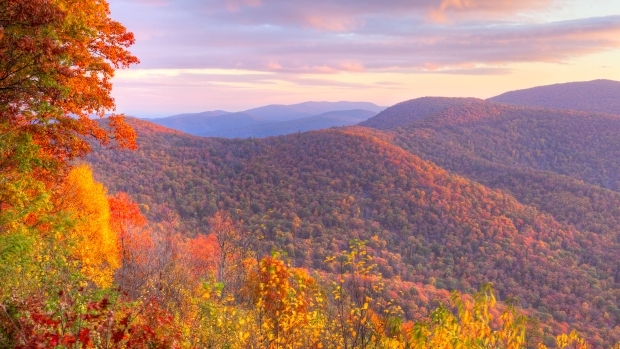 If you're hoping to catch a picturesque autumnal view, you may have to travel. In parts of Virginia, maple, black gum and sumac trees have a little more color variation, according to the Virginia Department of Forestry.